PLS (Pacific Language School), which is a school that we are affiliated with, will be holding their annual picnic. Ecole Hibari will be participating in this event. 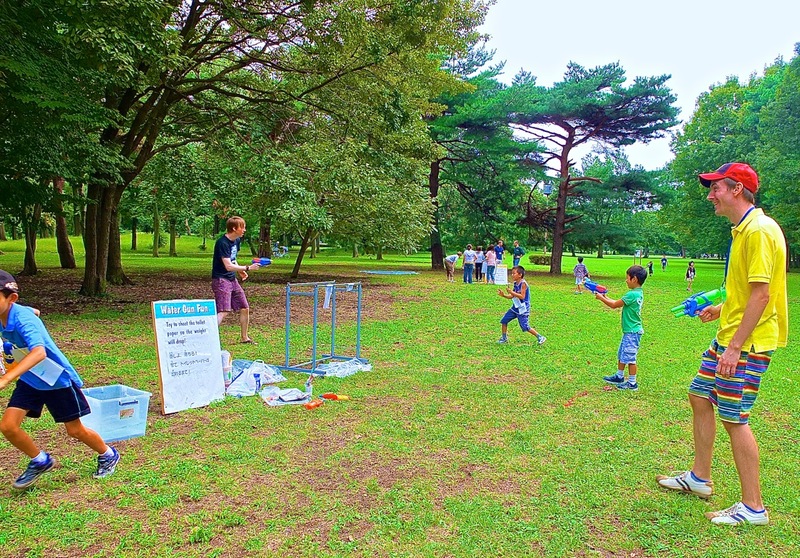 I went to this picnic in 2012 with five students and their families. Below is a picture of one of the PLS teachers playing a water gun challenge. The kids had so much fun. 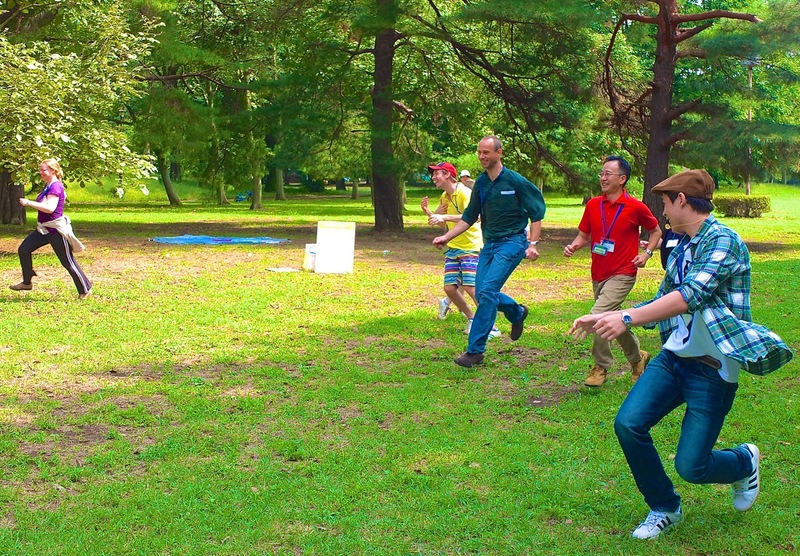 This was one of the many activities that were held. Everything was conducted in English. There were many teachers (including me and Henk) to play with the participants. The children were chasing us. We were fast, but the kids managed to catch us. 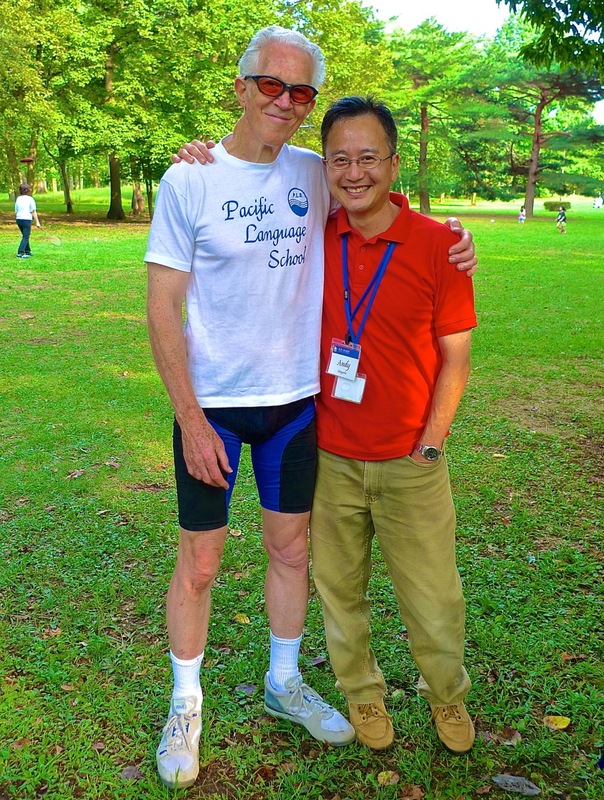 This is a picture of me and the founder of the PLS curriculum that Ecole is using in our children's program. His name is Mr. Ray Ormandy. I hope that you will be able to meet him. The picnic will be held on May 13, Sunday from 11 a.m. to 3 p.m. For those students and family members who are interested in participating in this fabulous event, please contact us.